Oat flour is a wonderful and totally underestimated flour that can be used in many of your home baking recipes, and the great thing about it is it’s naturally gluten free (although you will have to double check labeling if you are truly gluten intolerant as oats can often be processed in factories alongside other gluten containing products). In this post I will show you how to make homemade oat flour in 60 seconds, which is then immediately ready for use in whichever way you choose. You can pretty much buy any kind of flours these days, and lucky for us most supermarket shelves are laden with flours of all kinds, such as wheat, spelt, buckwheat, rye, rice, amaranth, millet, quinoa, and many more. For some reason it can be harder to find actual oat flour, which is a great reason to save time and money by making your own at home very quickly and easily. Rolled oats are a cheap and easily available whole grain to buy, and something you will never have a problem finding in any supermarket. Certain grain flours on the other hand like oat) are harder to find commercially, and can also cost a small fortune just for the privilege of them being ground up for you. The beauty of making your own is you can apply this method to make a flour from pretty much any grain, nut or seed you wish, all ready for immediate use in you favorite recipes. When it comes to baking with gluten free flours, you will need to make some amendments to your favorite recipes to stop the bakes being too crumbly. It’s the gluten that gives a lot of baked products their chewy elastic texture, and without it bakes can be too heavy and fall apart easily. This problem can be amended to an extent and in this post I will also show you how to make the most of your oat flour so it is still able to make delicious, healthy plant based food items that will have you and your family exited to eat. NUTRITIONAL BENEFITS – Different grains, and indeed nuts and seeds (which is what some flours are made of), often have better nutritional profiles and can be a lot healthier than wheat for these reasons alone. Don’t get me wrong, wholegrain wheat does have its benefits on the nutritional front and can be full of fiber and B vitamins, but is often not as high as the other wheat free flours. For instance, seed flours such as buckwheat, flax, chia, and quinoa contain impressive amino acid profiles, making them much higher in protein than grains. Quinoa is a known superfood that also contains omega 3 fatty acids, making it an all round ‘whole food’ source of healthy fats, carbohydrates and protein. WEIGHT LOSS – Wheat/gluten free baking can help reduce body fat for a couple of reasons: 1. It will stop you eating the usual shop bought refined and highly processed baked goods such as pastries, cakes and biscuits, all of which will more than likely be laden with unhealthy saturated fats and refined sugars, not to mention chemical additives in the form of preservatives, colours, satbilisers and flavourings. All of these things spike blood sugar and promote belly fat storage, AND up your risk of disease and obesity. 2. Wheat and gluten free baking usually involves the use of much healthier flour alternatives that are higher in fiber and nutrients – all of which are low er GI, will fill you up for longer, and make bloating less likely. YOU WILL MAKE MORE HOMEMADE FOOD – Which obviously means you will eat healthier, as you will know EXACTLY what is in your food and you can control how much sugar, fat, and calories goes into it. Some people may either be gluten intolerant or have celiac disease which means they need to steer clear of all glutenous products for good; others simply just feel better by omitting or cutting down on gluten in general. 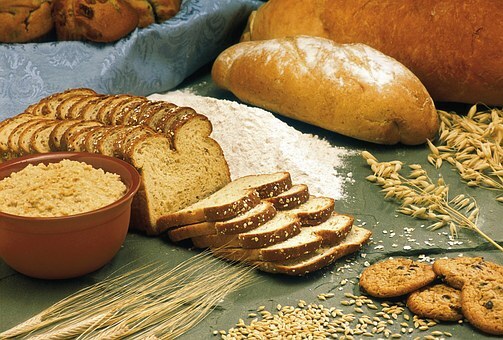 Gluten and wheat are not the same thing, and some wheat free flours still contain gluten, such as barley, rye and spelt. It’s important to read labels scrupulously if you either have a severe gluten intolerance, or are a celiac. This is important because you need to be looking out for products that are even made in the same factory as gluten containing grains as they may well be contaminated with gluten, and sometimes just a tiny amount is all it takes to trigger a reaction. Oat Flour can be Less Bloating! If you are one of those people who generally just feels bloated after eating bread then this doesn’t necessarily mean you’re gluten intolerant, rather you may have a wheat sensitivity. You may notice that wheat triggers general bloating and IBS, therefore you may find if you steer clear of it as much as possible to reduce symptoms. Or you may even be able to tolerate a little gluten of wheat and either be fine, or just have some very mild discomfort, but when you eat a lot you may have a much worse reaction. Sometimes it’s just about gut tolerance, and I think being mildly intolerant falls into the range of many people. You should however check with you doctor if you have any of these symptoms to rule out anything more serious. There are so many flours to choose from that you need never get bored, and you can experiment with what you like best by making your own very easily and cheaply. Some of these may not suitable for grinding up yourself; or you may find them too hard for your processor which means you will need to use something more heavy-duty like a coffee or spice grinder. 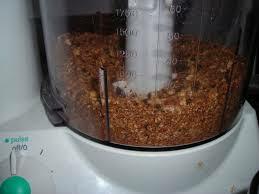 Stick to the softer things for your food processor or blender such as the oats, buckwheat, and amaranth flakes. The rest will probably need something more heavy duty like a spice grinder. Spice grinders are pretty small therefore you can only make smaller batches of flour at a time, but they do grind best when at least 2/3 full. How long this process takes will depend on how hard the grain, nut, or seed you wish to grind is; and also how fine a flour you want. Nuts and seeds generally take longer, and big nuts such as almonds should be chopped up as small as possible on a chopping board first. This will take some pressure off your grinder, and will also help you to avoid ending up with big lumps that won’t break down. Oat flour can be substituted for wheat flour in a rough ratio of 1 and a 1/2 cups of oat flour per 1 cup of wheat flour. This is a general rule only, and you will need to check specific recipes for more details on this as it will also depend on what you’re baking. 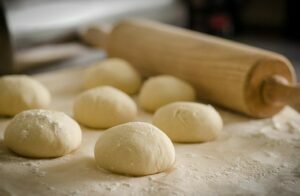 All the other types of flours may have different ratios of which you can check out here. Gluten makes your baking lighter and more elastic, therefore you will need to make amendments when using oat flour. For instance, you will need to add more yeast to recipes that require yeast to get the same rising effect because oat flour is heavier. Oat flour will need to be combined with other flours in recipes that are required to rise. You will also need to add 2 1/2 teaspoons of baking powder for every cup of oat flour required; and if the recipe requires buttermilk and you prefer to keep the bake vegan or plant based then you will need to substitute each cup of buttermilk with almond or soy milk, and add 2 tablespoons of lemon juice OR apple cider vinegar to it to sour it before you add it. You will also need an extra 1/2 teaspoon of baking soda per cup of buttermilk (or buttermilk substitute) when using oat flour in the bake. To make oat flour you can use either rolled oats or steel cut oats; both work equally as well but the steel cut type may take a little longer to grind. 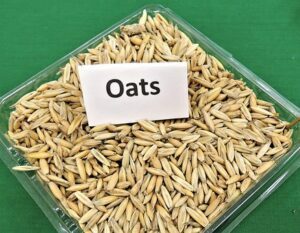 Using organic oats will ensure they are free of any chemical and fertiliser residues which may even enhance flavour. Using a powerful blender like a Nutri Ninja will ensure that your flour will be done fast, and also broken down really fine. I literally made mine in 10 seconds, but this will vary according to how powerful the machine you are using is. You can go for a courser texture or a finer texture, just keep your eye on it every few seconds as it powders up quickly. 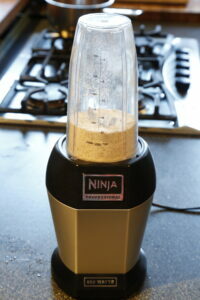 Your flour should be ground in under a minute if you are using a powerful blender of grinder. A courser texture may be better for certain recipes, such as cookies and muffins, as it will add extra texture; and finer powders may be better to be added to breads and pastries where a finer texture is preferable. Thank you for reading this post today. if you have any comments or questions please feel free to fire away in the comments box below and I will be more than happy to help ASAP! This is wonderful, helpful information. I didn’t know flour could be made out of so many grains and I have several of them on my shelves. I buy my oats from Costco and always have an abundance, so I’m going to try this first. I’m avoiding “regular” flour these days. This is going to be fun! Glad to be of help Theresa! That’s the great thing about oats, they are always on most peoples shelves ready for use. And isn’t it great that you can make flour out of almost any grain that isn’t just wheat? Most people don’t relise this, though you do have to make amendments to the recipe in other regards such as rising agent and fluids etc. 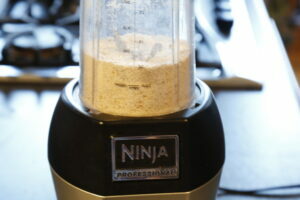 Making your own flours is SO much more cost effective, I do it all the times these days. Eye opening information, especially for those who do not tolerate gluten. I like the weight loss factor; I love my sweets and struggle to avoid sgary foods. Would be nice to be able to bake something that was less harmful to the waist line. Hey Barry, yes me too! I love sweet things, especially chocolate; you could say I’m a bit of an addict but these days I prefer to bake low calorie gluten free products like healthy muffins, banana cakes, and healthy cookies. I use a lot of alternative flours, along with coconut oil, chia and falx egg substitutes, and either dried fruit, or xylitol to sweeten. Doing all these things definitely helps the waistline as they make your sweet treats lower GI and higher in fiber. Two things that work together to enhance fat burning. The real surprise for me is how easy it is, and that you can do it with household appliances. I’d always assumed it was a much more laborious process. Hi Jon, yes most people don’t realise just how easy it is to make their flour themselves out of so many grains, nuts and seeds, not just oat flour. It’s probably why the supermarkets charge so much for it! 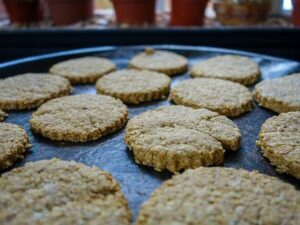 You know what, oat flour makes great oatmeal cookies especially if you add some whole rolled oats to the mix as well for texture. The oat flour will then help bind it all together. Delicious! I never realized the ratio difference for getting oat flour to rise. I’ve tried different flours for all the reasons you listed. I’m fine with gluten, but I’m way more interested in making healthy bread, and I just feel better. But I do love sandwiches, but I typically stay away. So this is good news, change the ratios to get healthy bread with Oat Flour. Great post. Do you have a good recipe for Oat Flour Bread? Yes, it’s all about getting the ratios right when it comes to baking with any other flours that aren’t wheat. I certainly had a few disasters in my time due to not getting this correct haha. I know what you mean about gluten, I’m pretty fine with it too as most people are, but I just feel better without it if that makes sense, so it obviously does something to me even though it’s so subtle I hardly notice it. As of yet I haven’t actually baked bread with oat flour as I’m currently hooked on my spelt sourdough which seems to be one of the best tolerated breads I have ever tried; however, as you have asked I may well give oat bread a go and write a post with a decent recipe on it, so keep a look out! This is such an amazing post. Oat flour is something new that I didn’t know before but me and my family use oats as their regular breakfast food as it is high in fiber. Thank you so much for sharing this amazing post about gluten free nuts and grains. Now I will make oat flour too and will try to different recipes with it. Yes, it would be great to test oat flour out in different recipes as I have not experimented with it as much as I would like to yet. I reckon it would be great in a pancake mixture with maybe a 50/50 split with buckwheat flour. Tasty, high fiber AND high protein all in one, and the kids will love it! Please let me know if you discover any other ways to use it in baking as I would be very interested to add it to the post.